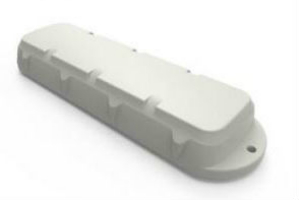 The SU-6800 battery powered GPS Asset Tracker is a low-profile, rugged 3G (NextG) GPS tracking device that has been designed for tracking containers, trailers, skip bins, and other assets where super-long battery life is required without sacrificing the frequency of updates and performance. The SU-6800 is able to roam onto cellular networks across the globe giving you global coverage of your assets movements at a low SIM card data cost. Communications with the device are two-way, allowing the SU-6800’s behavior and update rates to be changed Over-The-Air (OTA) including being able to be switched into “Recovery Mode”. By utilising the latest technology the SU-6800 is able to operate in ultra-low power modes. With an incredible battery life of up to 5 years the SU-6800 can be attached to assets and tracked without needing to change batteries. The option of using extended temperature range batteries allows the SU-6800 to be used in extreme climates that other tracking devices simply cannot operate in. The amazing flexibility of the SU- 6800 can be set to report locations based on specific needs. The SU-6800 can be configured to suit any business need. Configurations can be remotely changed any time . Configurations are almost limitless . We’ve put together some of the more popular configurations. All the benefits of the motion based configuration with addition of recording an update every 2 minutes uploading the updates every 30 minutes.